Earlier in the week, LeBron James voiced his displeasure with the lack of days off during the All-Star break, but he didn’t seem to be all that tired during his team’s first game back from the break last night. 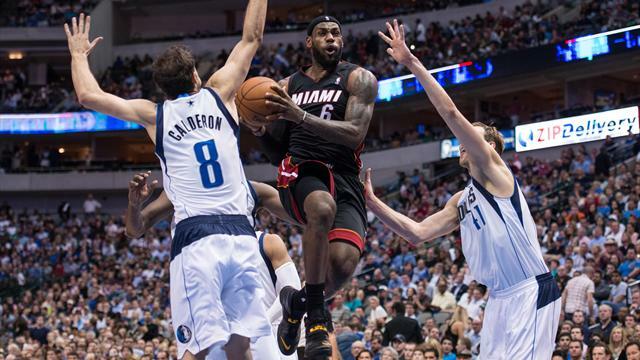 Taking on the Dallas Mavericks in a repeat of the 2011 NBA Finals, LeBron showed everyone that he still had plenty in the tank, as he scored 42 points, and added nine rebounds, six assists, and two steals during the Heat’s 117-106 victory. The 42 points were a season-high for LeBron, and it earns him “The Stat Line of the Night” for Tuesday, February 18, 2014.